Just added this postcard to my collection. On July 4, 1868 Princess Marie of Schwarzburg-Rudolstadt married Grand Duke Friedrich Franz II of Mecklenburg-Schwerin. Marie was the daughter of Adolf, Prince of Schwarzburg-Rudolstadt and Princess Mathilde of Schönburg-Waldenburg. Marie (1850-1922) was only eighteen years old when she married the Grand Duke, who was 45 years old, and twice a widower. His first wife was Princess Auguste Reuss (1822-1862), who was 39 years old when she died in 1862. She was the mother of six children, although two had died in infancy. Just two years after the death of Princess Auguste, the Grand Duke married Princess Anna of Hesse and By Rhine (1843-1865). 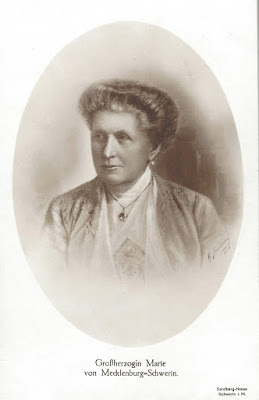 She died nine days after giving birth to a daughter, Anne (1865-1882). He waited three years before marrying for a third time. Marie became the stepmother to her husband's children. His eldest son, Friedrich Franz (1851-1897) was a year younger than Marie. The other children were Duke Paul (1852-1923), Duchess Marie (1854-1920), Duke Johann Albrecht (1857-1920) and the toddler, Duchess Anne. 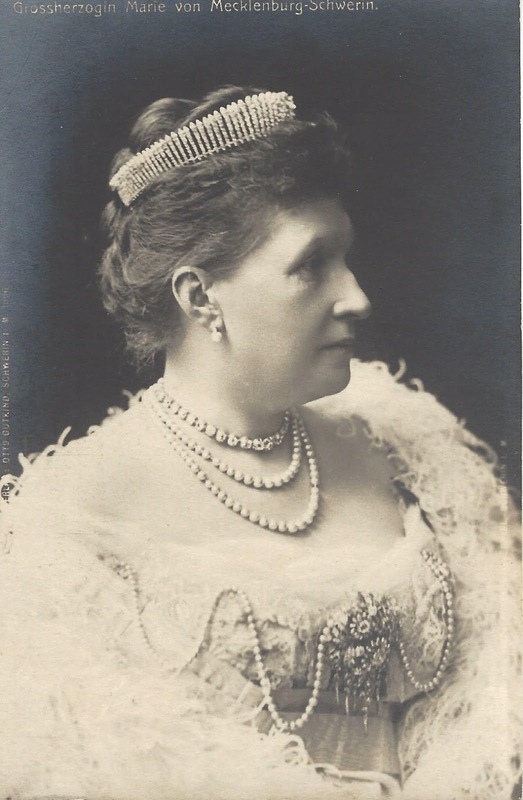 Grand Duchess Marie gave birth to four children: Elisabeth (1869-1955) Friedrich (1871-1897), Adolf Friedrich (1873-1979) and Heinrich (1876-1934), who married Queen Wilhelmina of the Netherlands. Marie was Queen Juliana's paternal grandmother. She died at the Hague in 1922 at the age of 72. Grand Duke Friedrich Franz died in 1883, and was succeeded by his eldest son, Friedrich Franz III.